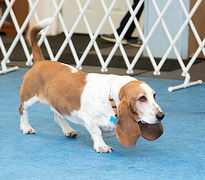 Basset Hounds | Elcaminoreal | Fotki.com, photo and video sharing made easy. 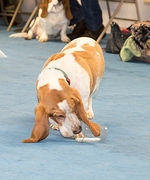 Photos of our very own Rosebud and Dudley plus various Basset hound events we have attended. 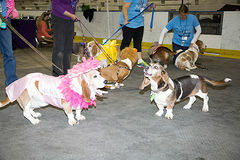 To benefit bassethound rescue, 225 bassethounds, accompanied by loving owners, waddled in the Lilac Festival Parade, Rochester, NY. 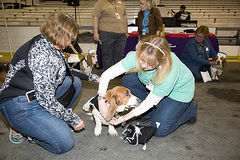 This was another opportunity to benefit basset hound rescue. 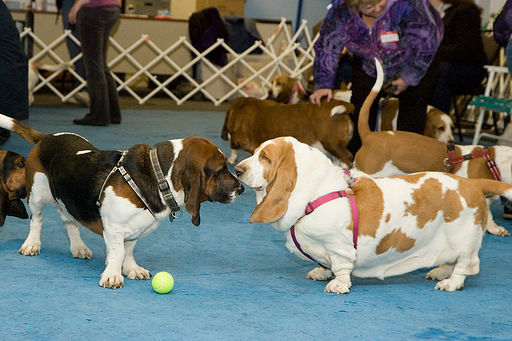 Walking among the many basset hounds and meeting their owners is a marvelous experience. A beautiful day and a great parade! Abby arrived 2/24/08. She's gentle, quiet and a real lovey. This is not the place to detail the many ailments that beset Abby. These are of Abby after weeks of work to heal yeast infection etc. Also a few are post operation, May 4. 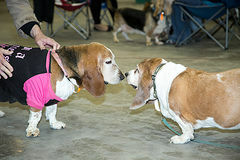 Ten basset hounds and owners attended a delightful breakfast. Barney is three years old, friendly and filled with life. Scared and in need of a bath, Barney arrived last night from Amsterdam. Barney H visited our house today. Barney is a king! He's one special young man! Bernie was with us a very short time. Most pleasant fostering experience we have had. Chloe is our first "official" foster after Sadie died. We had Gus and Tess for a few days each as interim fosters. Chloe may be with us for a while. We held Cleo over night on her way to foster home. Clyde is with us for 2 days. Affectionate from the start, he is a charmer. Dudley arrived from the shelter on a hot, muggy day. But even so he was gentle, friendly and good natured! Rescued from the shelter, Flash arrived yesterday. He's a puppy! Just delightful! Gus was the easiest foster, we ever experienced--obedient, slept in his own bed, came to us when he needed to go out. His circumstances started out well, with some excellent training, but Gus became unwanted by a key member of family his so he came to ABC. Loving and lovable Harley. He gave us kisses within a half hour after bringing him home from the shelter. 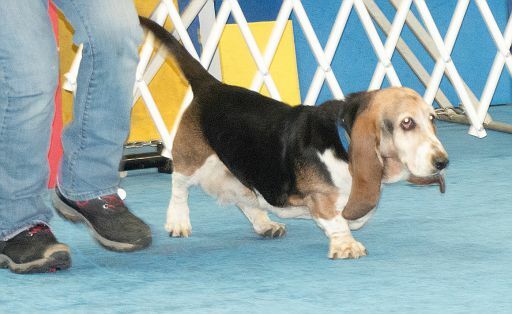 Huck is a most well behaved 10 yr old basset hound. He's a sweetie!! She's a gentle lady! She arrived at our house July 30, 2006 very much in need of love and affection. And we provided! Oh, how she loves it. Lily was a stray. The shelter named her and it is a delightful name as she is a delightful young lady. Linkin, not Lincoln : ) A puppy, 1.5 years old, Linkin has a great personality and is very affectionate! Soft fur too! Maggie was with us for a few days in late November. Miles is filled with friendliness and has plenty of vigor and vitality. A delight to have in our house. A few of the 90 Basset Hounds. Costumes emphasized. A wonderful group of Bassets and owners gathered at the Warming Hut on a rainy and cold day. A beautiful sunny day and 140 basset hounds to love and enjoy. 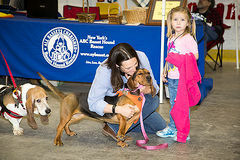 On a hot day in October, owners and hounds enjoyed a great picnic. Boxer Relay, Eat-off, Best Licker, Best Trick, Best Howler, Best Costume.